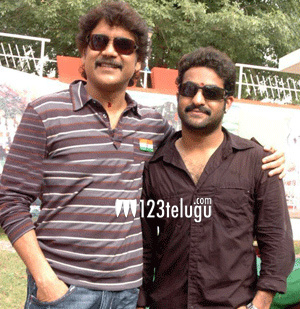 Young Tiger NTR is supposed to be part of a multi-starrer film with King Nagarjuna. The movie is supposed to be directed by Vamshi Paidipally and the basic storyline was narrated to both the actors by the director. However, the project seems to be in hold as of now. Sources say that NTR is not very happy with some parts of the story narrated by Vamshi Paidipally and he has asked for changes. Unless these changes are made satisfactorily, the project will not take off. NTR is now taking a lot of care with respect to script and story after facing mediocre results at the Box Office.